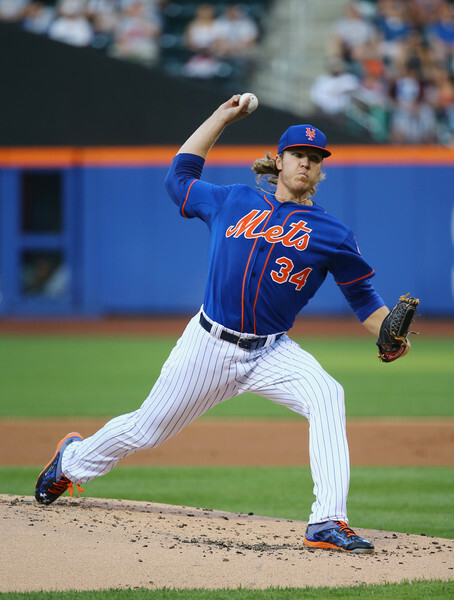 Could the Padres Really be Players for Noah Syndergaard? Could the San Diego Padres really be players in a potential deal for New York Mets’ RHP Noah Syndergaard? With big moves already being made, the excitement leading up to the July 31 trade deadline is in full swing. The San Diego Padres added to the excitement by trading Brad Hand to the Cleveland Indians for MLB No. 15 prospect Francisco Mejia. The Los Angeles Dodgers made a splash by acquiring Manny Machado from the Baltimore Orioles on July 18. The Dodgers filled a need and acquired a superstar ahead of another potential postseason run. The Padres are preparing for a potential postseason run, but it will not happen this season. Their record was 40-59 at the MLB All-Star break. However, they have could make a splash by trading a superstar and putting themselves into contention in the near future. 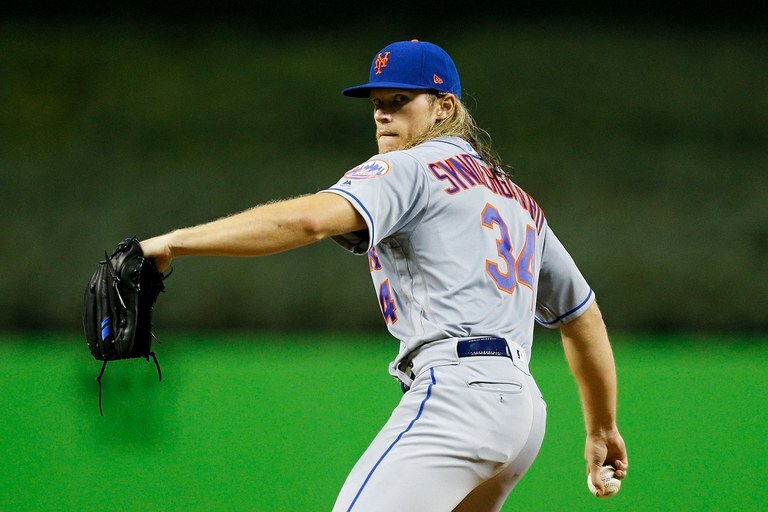 James Wagner, New York Mets beat writer for the New York Times, wrote on twitter on July 19 that the Padres are interested in 25-year-old Mets pitcher Noah Syndergaard. San Diego is interested in controllable pitching and to start winning soon, he said. Syndergaard is arbitration-eligible until after the 2021 season. HOU has top prospects but also the best rotation in baseball. Which is why Syndergaard could also be dangled in the offseason, with new GM in place and more teams involved. For example, have heard SD likes him, wants controllable pitching & to start winning soon. 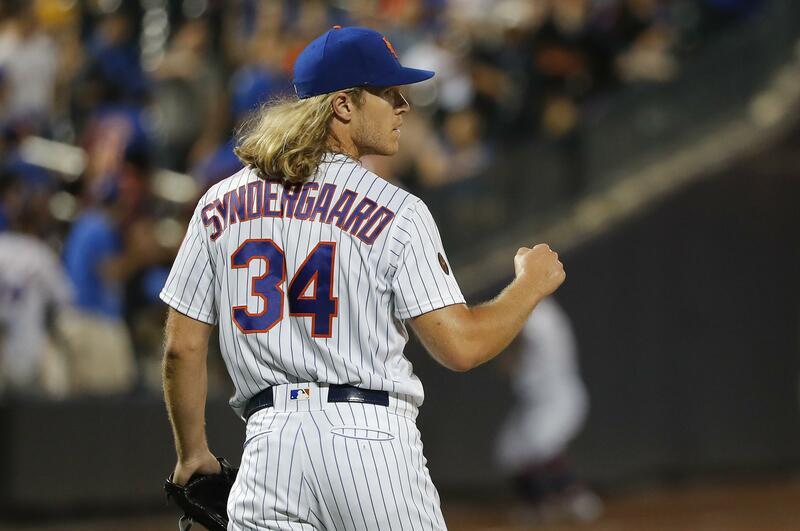 Wagner said that teams currently in contention, like the Atlanta Braves, New York Yankees and Arizona Diamondbacks, all have interest in Syndergaard, but do not have the prospects the Mets would trade Syndergaard to acquire. 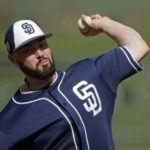 Wagner said in his tweets that some of the best prospects in baseball are in organizations not in contention, like the Padres. Some contending teams that could use a top starter — such as ATL, SF, NYY, AZ — don’t have type of prospects/players Mets would want or desire to trade them. Some of the best prospects in baseball are in organizations — such as TOR, CHW, SD — that aren’t in contention now. San Diego has the top farm system, according to MLB Pipeline. 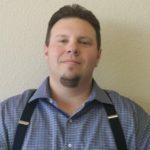 With the addition of Mejia, they have 10 prospects in MLB Pipeline’s Top 100. They have pieces they could trade to acquire Syndergaard, should they choose to go that route. The Padres have three prospects ranked in the Top 15: Fernando Tatis, Jr. (No. 3), Mackenzie Gore (No. 13) and Mejia (No. 15). 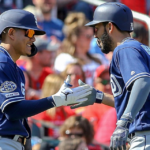 Tatis is considered the shortstop of the future and is untouchable. He is currently with Double-A San Antonio. Gore is currently at Single-A Fort Wayne. 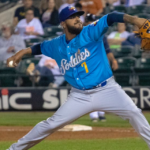 After being acquired, Mejia was sent to Triple-A El Paso. These two might be considered untouchable, and either could be sent to the Mets as part of a package for Syndergaard. Gore struggled at the beginning of the season with Fort Wayne. He gave up nine runs over his first nine innings as his ERA rose to 10.13. He spent some time on the disabled list with a finger blister. He is back to pitching regularly. He threw a career-high 10 strikeouts in his last start, on July 15. Mejia offers versatility, being that he can play at catcher and has spent time in both the outfield and at third base. He was just acquired, but Padres general manager A.J. Preller could flip him later for the right deal. Luis Urias is the Padres’ No. 3 prospect, and is the No. 29 prospect in MLB Pipeline’s Top 100. He is currently in Triple-A El Paso. 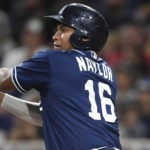 Urias is expected to be the next prospect who is called up to the Padres and become the team’s everyday second baseman. The Mets could certainly ask about Urias, but it’s difficult to see the Padres sending him in a package. The remaining Padres prospects in the MLB Pipeline Top 100 are Cal Quantrill (No. 32), Michel Baez (No. 33), Adrian Morejon (No. 42), Anderson Espinoza (No. 75), Chris Paddack (No. 95) and Logan Allen (No. 97). The Mets will obviously ask for a huge haul of prospects in exchange for Syndergaard. Any scenario would involve either Gore or Mejia, along with two or even three other prospects in the Top 100. 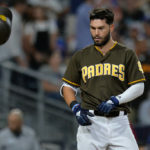 One scenario could involve Gore, Quantrill, A. Allen, and one or two more prospects from the Padres Top 30 prospects list. 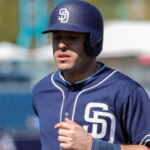 With Austin Hedges as the current everyday catcher, and Mejia on board, No. 28 prospect Austin Allen looks to be the odd man out. 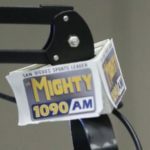 The Padres have already said they plan to keep Mejia at catcher, according to Dennis Lin of The Athletic. The thought of parting with some of baseball’s prospects might make San Diego fans cringe. The Padres have a deep farm system, deep enough they could deal some for a superstar and still be in a good position. The Padres have already made moves that signaled their commitment to building a winner. They signed Eric Hosmer to an eight-year, $144 million contract before the season started. They traded all-star closer Brad Hand and Adam Cimber to Cleveland for Mejia. Acquiring Syndergaard would be another step, and their biggest, towards contention. As far as Syndergaard is concerned, I’d think a package of A. Allen, Quantrill, Renfroe, and Naylor would get it done. The Mets would be getting a starting RF with power, their 1B for the next 5 years, and their starting C, plus a top 100 prospect. From the Padres side, all of these players are blocked at their positions, and Quantrill wouldn’t really even put a dent in the pitching depth in the minors. Remember..the Mets are the kind of team who want to reload quickly..not rebuild. This could get the job done fast. No way the Mets accept that trade. Quantrill’s the only elite prospect of the four and he’s really struggled this year. Renfroe has also struggled and Naylor/Allen are big defensive liabilities. Padres would have to give up at least one top five prospect to get an ace like Syndergaard. I don’t think he’s worth it, given his injury history. I think The Padres should trade for Syndergaard, but try and trade our holdovers rather than Preller picks. Renfroe, Hedges, Laurer, Quantrill, and a rule v eligible guy like Gettys may be enough. I don’t want to trade any of the other top prospects, certainly not Gore. Mejia, Quantrill, Asjuaje, Villanueva/lower level prospect may be enough. This will give us an ace and the best proven catcher that is young and CAN HIT! Resign Ross, Resign Galvis. Sign another pitcher in off-season. Maybe Kuechel on a prove it contract? Ridiculous proposals. Renfroe, Hedges, et al. for Syndergaard isn’t a trade it’s a toilet flush. Another toilet flush for Realmuto, oh and you’ve included Quantrill in that deal also. To be clear, Renfroe, Hedges, Asuaje and Villanueva are all failed prospects at this point. No team is going to be interested in them as headliners. It will take top prospects to land all-star players, not guys who are quickly playing themselves out of the picture here. And Keuchel on a prove-it contract? LMFAO! If you are going to post nonsense, you can’t complain if someone calls you on it. And when something good happens we can celebrate it, but in case you missed it this team has the worst record in the league. If what I post upsets you, I suggest you not read it. Nonsense? Who are you Johnny pro scout? Do you.know Thor’s value based in his injury history? So STFU. He is actually correct, your proposals really are bad and would never happen. You can’t give up your under performers and expect an all star, injuries or not. You got to give up something to get it. You also had quantrill in both deals. I would love to have NS but the cost is just a little much right now. I would rather wait and see a little. Espinoza is not back, paddock is coming back from TJ. Quantrill looks terrible, morejon has been hurt, Baez does not look as dominant, Lawson as struggled as of late, I could go on. Let’s just wait and see how some of these prospects develop a little more, maybe get there value even higher and then look for a trade. Same goes for archer. I don’t see a scenario where they deal Gore. Even if it’s for a Syndergaard/Snell/etc. I think more realistic is a deal for a Stroman/Fulmer which I think will still take a big talent grab, but won’t touch the top 4-5 prospects.